Real Ale & Cider House : Good Grog, Good Grub,Good Atmosphere.CAMRA Regional Cider Pub of 2014!. Monthly Events NO Sky TV, NO Loud music. 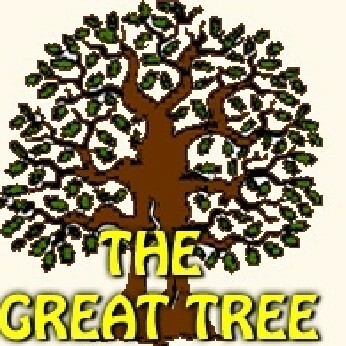 At The Great Tree Pub we know that the public is tired of noisy Televisions and loud grating music. We know that women would like to visit pubs they feel safe in. We know people would like to bring their best friend(Doggie) along too(We have Doggie Bar Snacks) and might want their childers around. * We know Real Ales are where it's at for refreshing flavour and cameraderie, we have four on draught and some in bottles. We love apples and the golden elixir "Cider" so much we have a collection of 20 kinds on draught for you to try. Shed the stress and worry of everyday life and enjoy a relaxed time with mates. Make a few new friends. Chat. Laugh. We have a table smothered in board games for you to enjoy. Our Monthly events are geared for listening and visual pleasure. Folk, Jazz, Opera, Choir and Classical have all been here and will return. We are a venue for plays, Burlesque and Cabaret. We hold cryptic fairs of the Esoteric and Mystical. Our Crafty Times Classes will teach you a few tricks and our Movie nights have FREE Popcorn. We hold regular Writing Clubs and are open to host your club. We also display the art of local artists some of which is for sale. Join us! Here is all of what we have going on in June, including quiz nights, a wild day and themed nights.